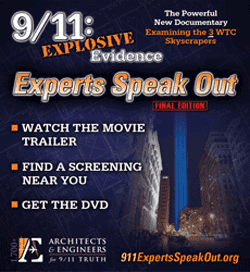 Tonight at 7 pm we will watch the film, 9/11: Explosive Evidence Experts Speak Out. I have determined that AE911Truth is doing solid work and does not chase after "conspiracy theories." They focus on the science of the destruction of the three skyscrapers on 9/11. They don't speculate on other issues surrounding that day but instead they present the evidence and the best scientific descriptions of that evidence. They do seek one thing: an independent investigation of 9/11. Beyond Misinformation: What Science Says About The Destruction of World Trace Center Buildings 1, 2 and 7 is a helpful book that accompanies the film. Everyone who attends tonight will get a photocopy of the pdf. I have signed the above statement. If you are an architect or engineer, the AE911Truth welcomes your support. Tonight, Tuesday May 23rd. Room 7. 7-8:30 pm.